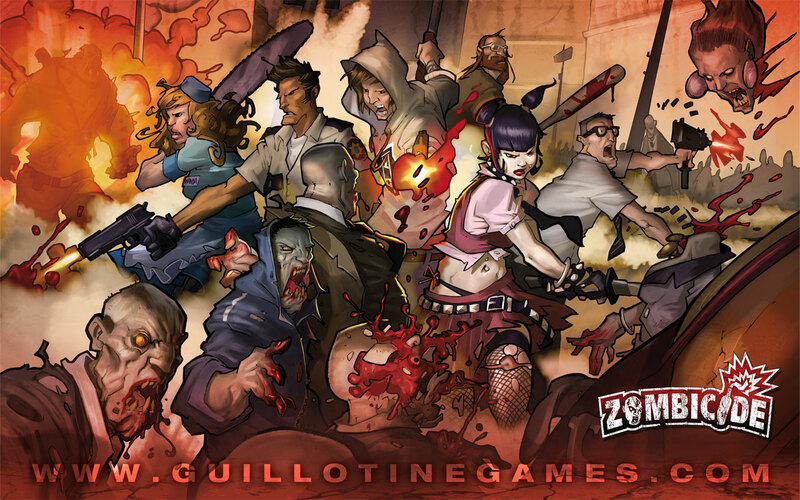 I recently jumped in on a game of the board game Zombicide at my wargaming club. I may be jumping on the bandwagon somewhat late, but I thought I’d give my impressions. The game is objective based, and features a couple of nice simple mechanics that add lots of drama. First, the survivors are pretty fragile and initially lack the weaponry they need to take down the bigger zombies. This lends a real sense of urgency to the early game, as you search frantically for something to defend yourself with. Secondly, as you kill zombies and pick up objectives you gain experience. As you level you gain new abilities, but you also cause a bucketload of nasty zombies to spawn. This means that if one team member levels too fast he’ll cause a lot of trouble for everybody. The effect is to really encourage players to spread the rewards around. Inevitably the bigger zombies will turn up, and from there it’s all about competing your objective and getting out before you get overrun. In an interesting twist when a player dies they come back as a zombie themselves. In the game I played only two of six players didn’t get killed (and that was in a game where we won!). The game has quite a cool comic book art style, and the scenarios are quite narrative. 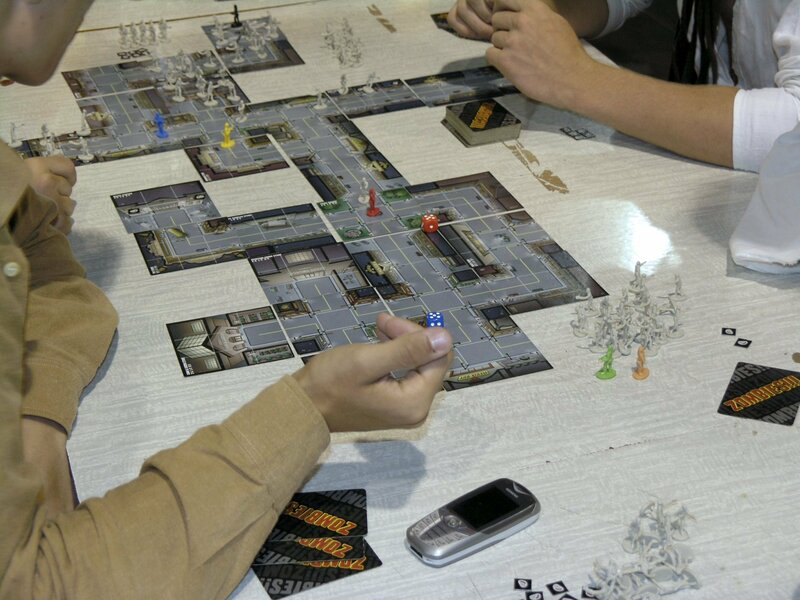 The core rules are simple and effective enough that our game of six players including two experienced players and four noobs (including two kids) picked it up and ran without any problems. If I could criticise anything it’s that the game seems to be suffering from expansionitis, with several new expansion packs adding on layers of “new shiny stuff” over the base game to justify themselves. That’s obviously not a sustainable trend, as eventually you lose the simplicity that makes the game zip along entertainingly. 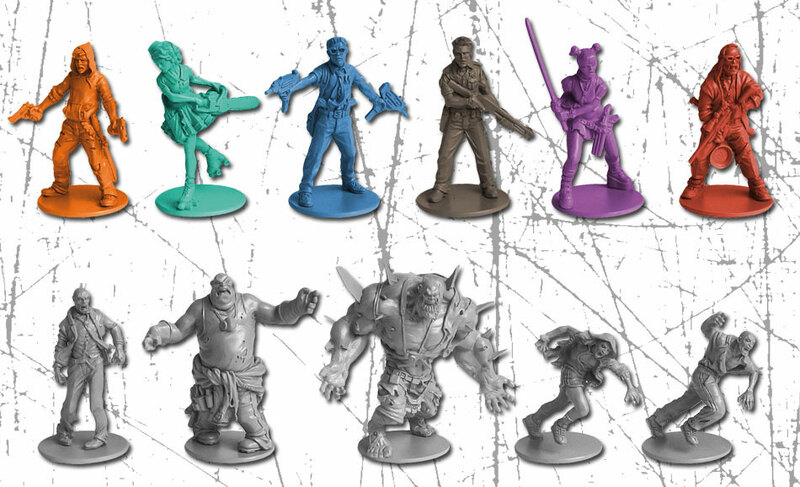 As for the miniatures, well they’re soft bendy plastic. Nasty stuff. Some folks do paint them, in fact Army Painter do a paint kit just for Zombicide. It strikes me that a fairly minimal amount of work could spruce the game up quite a lot, as Zombies really lend themselves to a quick dip paint technique.